Many of us have learned that probiotics are necessary for good health and that increasing our intake of them may improve our health. You may not want to take or be able to afford probiotic supplements. Probiotic foods are a great alternative. So, what foods contain probiotics? You will be glad to know that there are many such foods, and they are delicious and often easy to make at home. Fermented and cultured foods contain probiotics, provided they have not been heated above about 100 degrees Fahrenheit, which would kill these good bacteria. 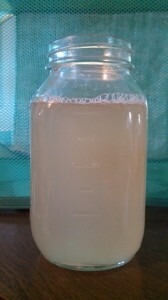 People have been making and eating probiotic foods (fermented and cultured foods) for thousands of years. Many of the healthiest people in the world have a long tradition of eating some kind of fermented or cultured foods. Most traditional cultures eat fermented or cultured foods as a regular part of their diets. Some foods that contain probiotics that you may have heard of include yogurt, dairy kefir, cottage cheese, sour cream, pickles, and sauerkraut. Some you may not be as familiar with are kombucha and water kefir. Also almost any vegetable, fruit, and condiment can be fermented. Remember that these only contain probiotics if they have not been pasteurized or heated above about 100 degrees Fahrenheit after the culture was introduced. Cottage cheese is another probiotic containing food that is readily available. You would need to check the label to make sure it contains live cultures, as you should with any cultured food you purchase. It can also be made at home by either introducing a culture you purchase or dairy kefir to milk and follow directions for maintaining a certain temperature for a set amount of time and then cutting and draining the curds. Sour cream is even easier to make by adding either a culture or some sour cream with live cultures to heavy cream and allowing it to culture at room temperature. 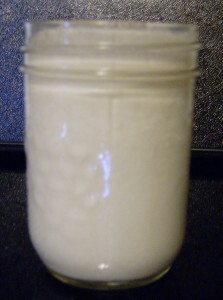 Cultured buttermilk can be made the same way as sour cream, using milk. Raw cheeses, in addition to those mentioned above, also contain probiotics. This is the case with cheeses made with raw milk and with pasteurized milk, as long as the milk or cheese has not been heated above about 100 degrees after the probiotic culture was added. It will be difficult to find these in most stores, but you can learn to make them yourself. Have you ever purchased and eaten cultured butter? It is delicious, but it is also very expensive. You can easily make cultured butter at home by culturing heavy cream with kefir grains or another culture and letting it sit at room temperature to culture. You then make butter from this cultured cream in your food processor or stand mixer (or even by shaking it in a jar). You now have a delicious and inexpensive cultured butter that is also full of probiotics. Be sure not to cook with this, because this will kill those good bacteria. One of the easiest probiotic foods to make is lacto-fermented vegetables, which includes pickles, sauerkraut, kim chi, and fermented salsa and other condiments. Almost any firm vegetable can be fermented, usually by only adding salt or salt and water. You may also add a starter culture or whey (NOT whey protein powder), which may be used in most ferments and which may be necessary with a few fermented dishes. Fruits and fruit condiments can also be fermented. One delicious example is fermented cranberry relish. If you choose not to take probiotic supplements or even if you do, you can add a variety of probiotic containing foods to your regular diet. In fact, it is a good idea to eat a variety of different fermented and cultured foods in order to introduce a wide variety of probiotic organisms into your body. Your digestive tract, immune system, and overall health will be the better for it. Best of all, you and your family will enjoy many delicious, as well as healthy, foods. No matter which fermented foods you choose to add to your diet, and hopefully to make, you will be adding healthy probiotics to your diet. Please comment below and share what probiotic foods you like to eat and make. Thank you for stopping by. Disclaimer: The information in this article is for educational information purposes only. No information contained here should be construed as medical advice. Always consult a qualified health professional. When I was a teenager my friends Mom used to make homemade sauerkraut. It was really tasty. I never heard of probiotic beverages. I’ll have to check them out one day soon. Thanks for sharing. Hello, Wendy. You are welcome. Thanks for visiting my site and for commenting. 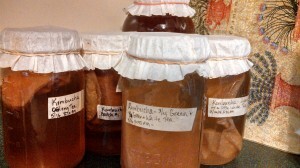 I think you will enjoy making probiotic beverages. They are such a healthy alternative to other less desirable beverages. Look for a post about making water kefir in the future. I will also have a post about making sauerkraut soon. I love it, too, although I did not have the opportunity to taste real sauerkraut until I was an adult. You are fortunate to have had it as a teenager. 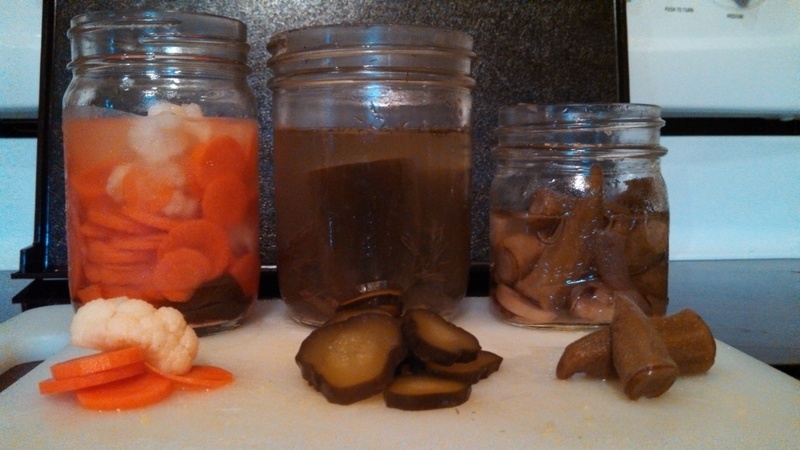 I hope you enjoy more fermented foods. Thank you. I am glad to hear you found some useful information. Thank you for taking the time to reply. I appreciate your kind words and am glad you found good information here.